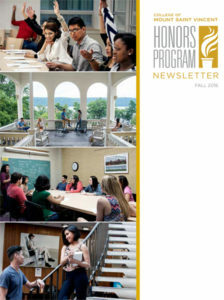 The Mount’s Honors Program provides high-achieving and motivated students with a distinctive academic experience. 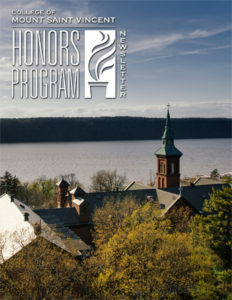 The Honors Program challenges students to do their best work and to cross intellectual and disciplinary boundaries through unique Core courses while pursuing any major at the College. Students, working closely with faculty, engage in discussion and inquiry with peers in small, seminar-style courses; collaborate on group projects; and make liberal use of the cultural and educational opportunities gained in the “off-campus classroom” that is New York City. 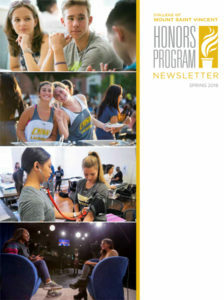 By graduation, students in the Honors Program will demonstrate their abilities as scholars, enhance their academic and professional resumes, and position themselves as prime candidates for graduate school and professional recruiters.